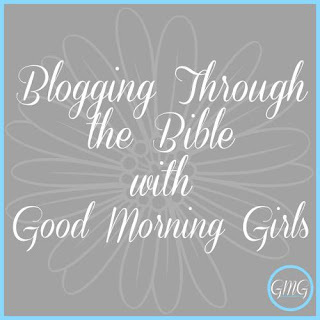 Can you believe we are finished with Week 3 of our Proverbs Summer Bible Study with the Good Morning Girls?! Today we are in Chapter 15, and there are six verses that speak to us about the power of our words. Let's take a look. 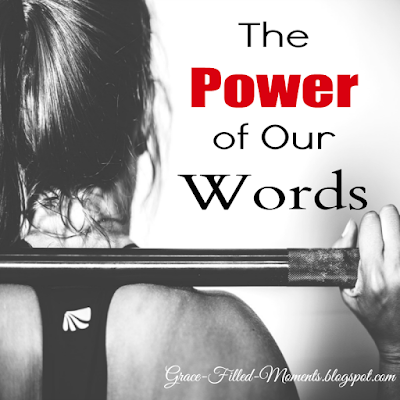 Our words have either the power to destroy or build up our relationships. We see two kinds of tongues here in these verses: one belonging to a wise person and the other belonging to a foolish person. James 3:5 tells us the tongue is a "small part of the body", yet we will see in Proverbs 18:21 that "death and life are in the power of the tongue". Jesus tells us in Luke 6:45, “Out of the abundance of the heart, the mouth speaks. If our hearts are critical, our words will be critical. If we have an ungrateful heart, we’ll have a grumbling tongue. Do you see how that works? I've seen this truth played out in my own life. Thankfully, this is an area where the Holy Spirit has been dealing with me about in the last couple of years. I'm thankful also for His grace that has been alive and active in my life, helping me to be more aware of what's in my heart and to make the necessary changes I've needed to make. I want a loving heart that creates a gracious tongue; a peaceful heart that creates a reconciling tongue; a faithful heart that creates a truthful tongue. These changes have only been able to become a reality in my life as I've gotten serious about reading God's Word every day. Soaking in God’s Word every day will help me to have a heart filled with God’s love and grace. Are there times that I may slip and fall back into critical or grumbling words? Yes, because I will never attain to perfection this side of Heaven. But by the power of God's grace at work within me, I'm able to get back up and strive to walk obediently in the knowledge that God has given me. That's when I'm walking in wisdom! And when we are walking in wisdom, with our hearts filled with God's love and grace, the power of our words will be as a tree of life to those around us. Please join me in this prayer for our words and what kind of power they will hold. Heavenly Father, I pray that you would set a guard over my mouth and keep watch over the door of my lips so that my tongue would be a tree of life with the words I speak to others. I pray that You would continue to give me a hunger and a thirst for more of Your Word so that my heart would be loving, peaceful, and faithful, enabling me to walk in wisdom toward others in my life. In the life-changing name of Jesus I pray. Amen! Great post. I shared on facebook. I especially like this: "I want a loving heart that creates a gracious tongue; a peaceful heart that creates a reconciling tongue; a faithful heart that creates a truthful tongue." When we put two & two together & realize that our hearts are deceptive above all things, we can start nourishing a change in our hear & attitude. I like how you said "this" heart makes "these" words. I've always believed in the power of words that's why I'm so careful about using them. It's sad that some people seem to not understand the power of the tongue. Or are abusing them. Yes, Lux, I agree. There is power in our words. That old saying, "Sticks and stones may break my bones, but words will never harm me." is so not true! May God help us to keep our hearts tender so that the words of our mouth are pleasing in His sight and give life to the people in our lives. In the beginning, God used His words to speak the universe into existence. If we are made in His image, just think about how much more significant that makes our words. We can't create something out of nothing of course, but like these verses explain, they have huge impact just the same. It really changes ones perspective on conversation. I will definitely be praying your prayer, and hopefully the Holy Spirit will be able to work on my heart just as much as yours. Thanks for commenting "myglorytogodblog"! I love the correlation you make with God using His words to speak the universe into existence and the impact of our words! Wow, that does change ones perspective on conversation, doesn't it?! Let's remember to pray for each other. Blessings to you!